The population of Uttarakhand is increasing day by day. Vehicles used by the people are also increasing, which leads to more traffic on the roads. Uttarakhand as a holy state is also a famous tourist destination. Apart from the vehicles of residents, the Uttarakhand Traffic Police has to manage large number of tourist vehicles also. We are aware of the problems which citizens of Uttarakhand and tourists come across while using vehicles on the roads. But I think this is an oppportunity and not a problem. We can surely improve the traffic if we work in a holistic manner and as a team. In view of the above issues, a separate directorate of Uttarakhand Traffic Police has been established to ensure the smooth traffic on the roads and creating awareness among the citizens. 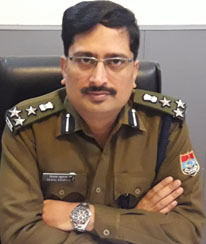 Uttarakhand Traffic Police is making continuous efforts for ensuring smooth and unhindered traffic flow, prosecuting traffic offenders and educating general public at large. Traffic Police cannot succeed without the active involvement and participation of citizens. Uttarakhand Traffic Police website is a step towards that. We have launched the official website of state traffic police by the name of www.uttarakhandtraffic.com which will be very useful and important forum for citizens to offer suggestions. We are providing information regarding various districts in particular and are going to provide guidelines in general. Uttarakhand Traffic Police website also provides information about traffic rules and road safety . 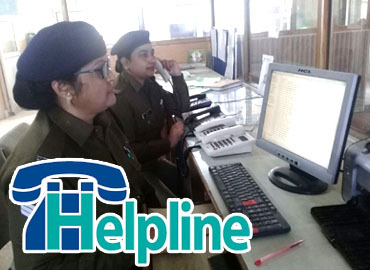 It is a platform for the common road user to interact with traffic police by putting on her/his suggestions & complaints. It would prove to be useful for the common road user as it will answer most of the queries a common man has about traffic and road safety . This website would bring more transparency in police working and would act as a bond between police and public. Your suggestions are most welcome to achieve our objectives for providing smooth traffic on the roads of Uttarakhand.